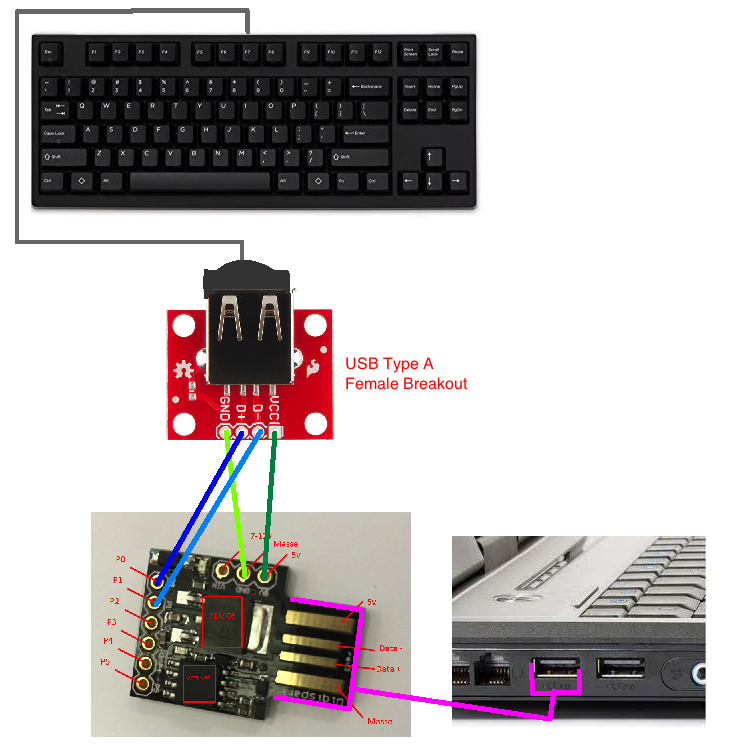 I'm looking to create a Keylogger using a Digispark and a USB Type A Female Breakout. I know this isn't a Keylogger (yet), but just reads the Keyboard's Data from the Digital Pins and passes the Data onto the Computer. So for now, it just acts like a USB Extender cable in that situation - its role is the same. Key.Pressed_onTheKeyboard with to get this working? Coto, Did you ever get anywhere with this idea ?